Pickering Interfaces has designed a new LXI switching matrix for the signal monitoring at CERN’s high-energy collider. This article explains why LXI is the standard of choice for such highly complex switching systems with high performance requirements or a need for remote access, and why the new switching matrix is suitable for many other applications. Near Geneva, CERN runs the Large Hadron Collider (LHC) a hundred meters below ground for experimental research in the field of high energy physics. The collider operates a pair of counter-rotating particle rings which have crossovers at four experiment sites. Their particles crash from opposite directions into each other and create the signatures that indicate the presence of short lived particles. To prove this, the generated data must be recorded reliably. Monitoring of the LHC for correct operation is accomplished through the Open Analogue Signal Information System, called OASIS. It picks up relevant monitoring signals from various places to make sure that the system is operating as intended. The OASIS system uses a set of digitisers to acquire the signals and send them to users via Ethernet. The digitisers however are very expensive and there cannot be one distinct digitiser for every signal to be monitored. A switching system is used to allow OASIS to select, which signals to show from the variety of available signals. Historically this switching system has been based on VXI and more recently on cPCI systems. Renewable energy is one of the world's fastest-growing energy sources. In the automotive industry, the ever-increasing costs of gasoline and diesel, as well as growing environmental concerns from greenhouse gas emissions are driving the rapid deployment of alternative renewable energy sources such fuel cell technology. Fuel cell technology utilizes hydrogen and oxygen to produce direct current (DC) electrical energy with very little or no harmful emissions and no need to recharge. Fuel cell vehicles can use pure hydrogen or extract it from a secondary fuel such as methanol, ethanol, or natural gas that contains hydrogen. 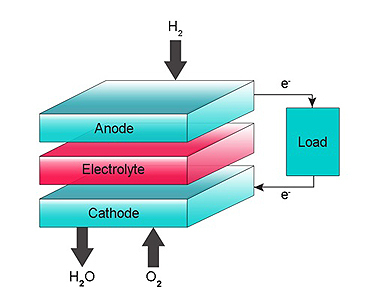 Figure 1 is a block diagram of a Proton Exchange Membrane (PEM) fuel cell that uses pure hydrogen as fuel. Take our 10-minute survey on the Usage of Instrument Communication Standards with Test and Measurement Systems. We’ll be glad to share the results with you! Complete the survey today and enter to win a drawing for a gift card from Amazon.com valued at $75. The 60-102B and 60-103B Chassis increase the Ethernet interface speed to 1Gb from 100Mb and adds an IP display that shows the Chassis IP address. The digitizerNETBOX DN2.46x series allows recording of one, two, four, eight or 16 synchronous channels with sampling rates of 200 kS/s up to 3 MS/s. The need for high-performance arbitrary waveform generation is broad and spans a wide array of applications. The industry-leading AWG70000A Series arbitrary waveform generator (AWG) represents the cutting edge in performance, sample rate, signal fidelity, and waveform memory.